Blomus Pilare is an elegant storage unit that holds 12 wine bottles. 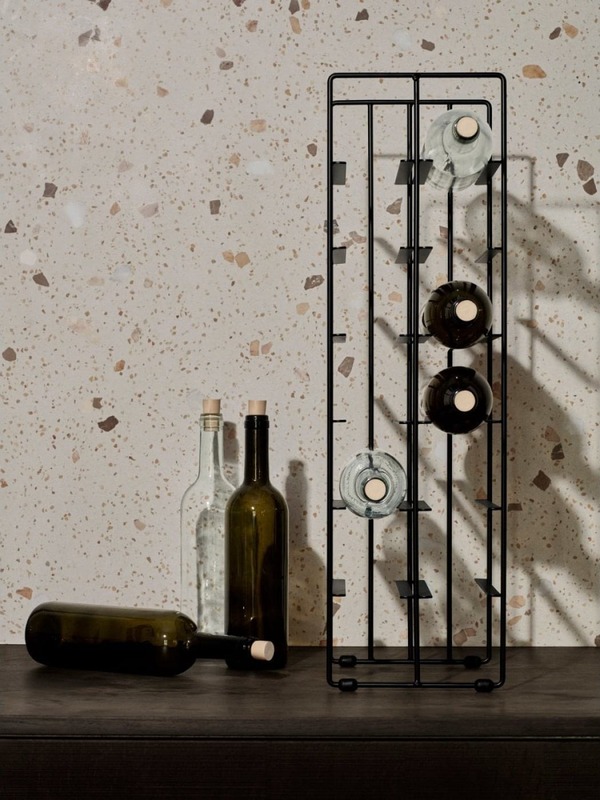 This unique looking bottle rack combines flexibility with sleek minimalist design. 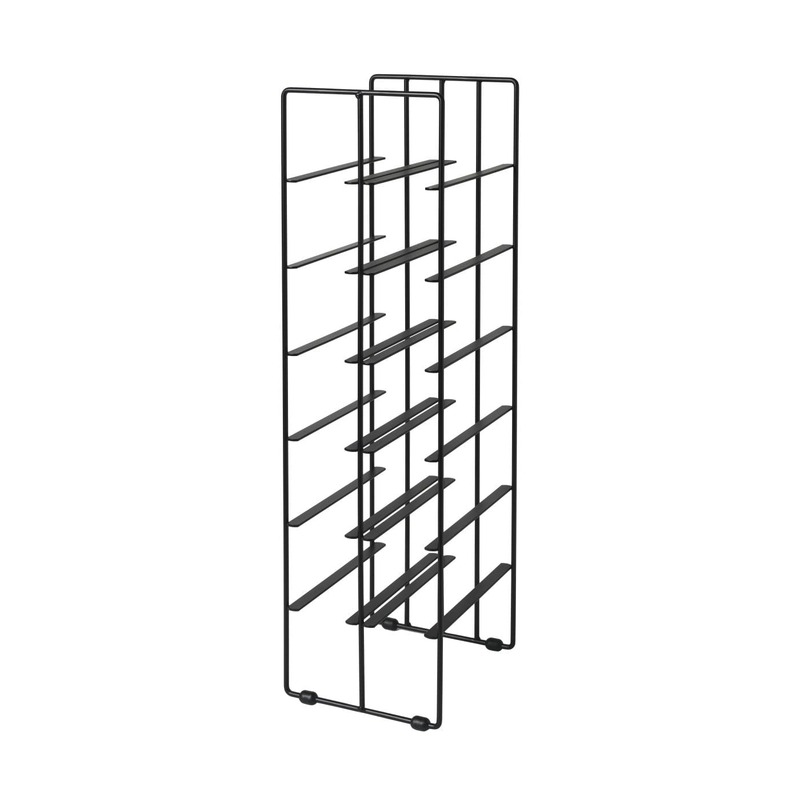 A must for wine lovers: The decorative PILARE wine rack is made of black, powder-coated steel and offers room for twelve bottles of your favorite wines. 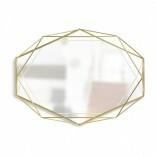 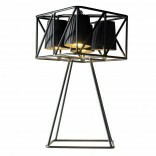 Dimensions: Height 66 cm Width: 19 cm Depth 21 cm.